MERRY CHRISTMAS FROM LADA RAY! ≈ Comments Off on MERRY CHRISTMAS FROM LADA RAY! Xi, Putin, Trump, Oprah, Shoigu, Jack Ma, Assange, Prophetess Anastasia! I am inviting you to participate in a rare and innovative experiment, fusing together the Multidimensional University, Quantum Calibration secrets, and my 4D geopolitics analysis and predictions! On this list we have two COMPLETE or TRIPLE EARTH SHIFTERS! Triples are exceedingly rare! I can only think of one other person on the planet at this point, who is such a powerful Triple, and she is also on our list! These three are the highest designations in my MULTIDIMENSIONAL SOUL MISSION system! LADA RAY PATREON OVERVIEW — With Comprehensive Written Tutorials & Colorful Visuals! ≈ Comments Off on LADA RAY PATREON OVERVIEW — With Comprehensive Written Tutorials & Colorful Visuals! Welcome to Lada Ray Patreon, where you’ve reserved a front row seat on the epic journey through the Great 5D Earth Shift! First, I want to thank all my patrons and supporters; I couldn’t do it without you! Your financial and emotional support is what keeps me going, as I continue working on educating and enlightening humanity; as I continue creating my books, articles and podcasts in order to manifest the Great Earth Shift! Through my cutting-edge work, together with my helper Az and my wonderful Patreon community, we are shining the light of truth on our past, present and future. We unite the third-dimensional reality and 4D geopolitics with forbidden history secrets, higher-dimensional consciousness and cosmic spirituality… We expand our minds and hearts, as we co-create a better future! Awesome Year End News & 2018 Grand Finale Updates! And Polls 1 and 2 Results! ≈ Comments Off on Awesome Year End News & 2018 Grand Finale Updates! And Polls 1 and 2 Results! I am inviting you to check out a completely FREE BIG POST on Lada Ray Patreon, with my latest global events overview and lots of announcements regarding upcoming articles, FREE BREXIT Earth Shift Podcast, my NEW BOOK, and a very special Year 2018 Grand Finale SUPER-REPORT for Patreon members! The post also contains the results of my Polls 1 and 2. From Lada Ray Predictions to 5D Earth Shift and 4D Geopolitics, we have determined the most popular Features I offer. Find out which ones are runner ups, which are trailing, and which Feature has been crowned the WINNER! The post is completely FREE and accessible to all! Check it out! Polls 1 and 2 Results! Plus Awesome Year End News & 2018 Grand Finale Updates! Reaction from one of Lada Ray Patreon members! PLEASE READ! #ThankYouPatrons Lada Ray Marathon! Surprises & Treats I Plan For You! . **EARTH SHIFT PODCASTS ALREADY ON LR PATREON! ESP4: UKRAINE: NEW CRISIS & THE END OF POROSHENKO (+ Written Addition)! YOUR SUPPORT MEANS THE WORLD TO ME! Sometimes it’s hard, but you help me carry the load. I couldn’t do it without you, and the world would be poorer and drearier for it! This Triple Special Offer is part of Lada Ray’s #ThankYouPatrons appreciation campaign! LIMITED TIME SPECIAL OFFER for $5+ Patrons, both new and existing! Included! Three new Lada Ray Prediction Articles re. the future of the Earth Shift/dollar and banking/US/Russia/Trump/Asia! VERY LIMITED TIME – HURRY! Articles in question will be accessible to all new and existing $5+ Quantum Patrons between Nov 18 and Nov 25, 2018! On 11/25 they revert back to $10+! Must join between Sunday Nov 18 and Fr Nov 24, 2018 to take advantage of this perk and read these predictions! HOPE ALL OUR FRIENDS IN CALIFORNIA ARE SAFE! AZ AND I ARE SENDING YOU OUR GOOD WISHES! PLEASE STAY SAFE and Please, PLEASE HELP INNOCENT ANIMALS, WHO HAVE NOWHERE TO HIDE AND WHO ARE SUFFERING THE WORST! HEADS UP! FAN APPRECIATION DAYS & EARTH SHIFT PODCAST MARATHON COMING YOUR WAY! ≈ Comments Off on HEADS UP! FAN APPRECIATION DAYS & EARTH SHIFT PODCAST MARATHON COMING YOUR WAY! 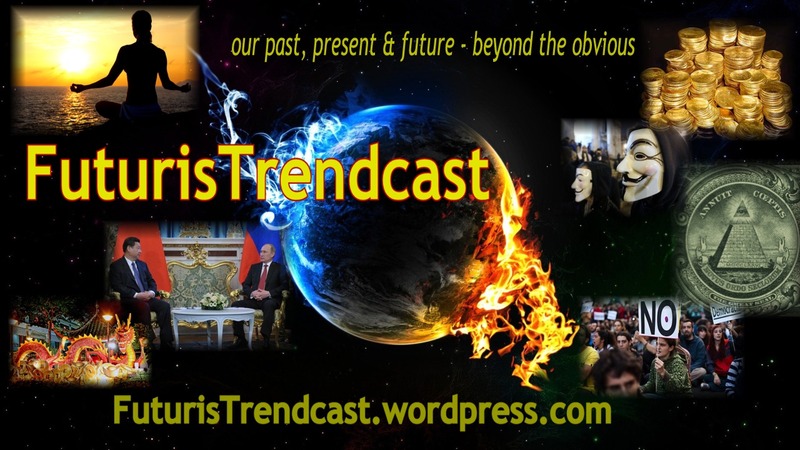 Please read the full post and check out my three new Earth Shift Podcast TITLES & BANNERS == ALL ON FUTURIST TRENDCAST! Simply monumentally huge news & special offers coming your way! As part of the Lada Ray Patron & Fan Appreciation Days, tomorrow, Nov 18, I will begin running a limited time special offer! Stay tuned to find out more! Our Podcasts present a rich medley of info, intel, predictions, stories and much more. Often we include details and angles, which I am unable to cover in written format! And we are also starting our new branding tradition: international greetings outreach – listen to the podcast to see what I mean! #ThankYouPatrons Marathon will run FREE on FuturisTrendcast and social media between SUNDAY NOV 18 AND NOV 21! FREE PUBLIC POST ON LADA RAY PATREON! I COULDN’T DO IT WITHOUT YOU! One of our dear Patreon members Seeker has recently traveled to Moscow. Seeker comes from one of the most well-to-do and prosperous countries in the EU. This was a business trip, during which he represented his country at the international agricultural expo, and his view of the modern Moscow is from a rare perspective, that of a business traveler. I’ve written a number of articles in the past, with pics showcasing various facets of the cool, traditional and historic Moscow (you’ll find them on LadaRay Blog, and some on FT). What makes Seeker’s contribution truly rare and invaluable is that you won’t glean the perspective he offers from me (since I am not a corporate business traveler), nor from any others, who do travelogs and travel videos. The insider images are spectacular, especially those of the new Moscow-City architecture (aka, Moscow International Business Center)! Just love it! COMPLETE FREE POST ON LADA RAY PATREON! We may soon also have a rare photo expose about Africa, from our patron and community member who lives in Nigeria and knows the place intimately! Very exciting! I am so happy I can provide this opportunity for the dear to my heart members of our community to share their countries, travels and world adventures! I plan to do more in the future! If you are my Patreon Patron and would like to feature your exciting traveling or your country’s photo or video story on my Patreon site and possibly also on FuturisTrendcast, please email me! We’ll likely do this once a month, or during holidays! To join LADA RAY PATREON GO HERE! The world events we are experiencing are very rattling and often negative. Sometimes we all need a rest from the troubles of the world we are all carrying on our shoulders. I feel driven to infuse a more positive feel into our common space on Patreon. I want this to be a place where we can share a smile, and I want you to come here not only for earth-shifting revelations and heavy-duty geopolitical analysis, but also as a place where you can mingle and get to know your fellow members. A place, where we reach out not only to the higher dimensions, but also to each other… As you know, we do Spiritual Spa, which I’ll probably make into a Special Feature, but I also love to travel and explore. Don’t you? This is one of the reasons I am inspired to post my Patreon patrons’ travel impressions on special occasions and/or during holidays. Stanislav sent me these awesome pics from Minsk, Belarus. We also have the impressions from Seeker’s visit to Agroprom Expo in Moscow. I just love their different perspectives! And we might do more of these during Holidays! My impressions from vising Minsk a few years back: The capital of Belarus is a lovely city, both traditional and modern. It’s very quiet, clean and orderly, compared to many other places I’ve been, if overcast most of the time. 😉 Yet things do happen there. Belarus is very cheap and is probably a good place for a quiet, relaxing getaway. They do have some rather advanced spas, where they cater mostly to Russians, or those who can afford them. They are quite cheap for foreigners (at least that was the case a few years back), but maybe not so much for Belorussians. Enjoy our COMPLETE FREE PHOTO POST! Official launch of the EARTH SHIFT PODCAST with Lada & Az Ray! 4 min preview/promo narrated by Lada Ray! Subscribe to Lada Ray Patreon: https://www.patreon.com/LadaRay to get early access to Earth Shift Podcast and to support the development of Lada Ray’s Earth Shift theories and Books. MEET LADA RAY PATREON – UPGRADED & IMPROVED! What I do and what you get! Awesome at-a-glance overview! ≈ Comments Off on MEET LADA RAY PATREON – UPGRADED & IMPROVED! What I do and what you get! Awesome at-a-glance overview! Manifesting Truth, Knowledge & Earth Shift​! ​Lada Ray is creating Earth Shifting Blogs, Books & Podcasts! Exclusive in-depth articles, reports, podcasts, quantum calibrations, multidimensional predictions & insights! ​JOIN 64 OTHER AWAKE, SMART & AMAZING PEOPLE! We already have over 160 unique, in-depth and revealing posts! Be the first to hear cutting-edge ideas and predictions! Plus, with my huge gratitude, you are supporting the development of my Earth Shift, Quantum Calibrations and Multidimensional Theories & my future BOOKS! This is the CORE tier chosen by most of my lovely patrons! ~All signed books are mailed to you with exclusive signed Lada Ray bookmarks & Lada’s personal Thank You notes! If you prefer to make a ONE TIME contribution to support my present and future books, and to receive my personally signed fiction or non-fiction books, please GO HERE! I didn’t misspeak in the title. I did mean ‘mystical talent’, although her talent is ‘musical’ at the very same time. I feel like talking about the amazing mysticism of Russian music and art, and I hope to do a number of posts on that. I subscribe to only two singer’s channels on YouTube. One is a ‘people’s singer’ Yaroslav Sumishevsky, who organizes magnificent flashmobs, who has a beautiful heart and lovely voice, while being largely ignored by Russian TV (but this is beginning to change under the pressure from his fans). I love his energy and songs, and I may at some point feature his songs to Futurist Trendcast. Timely and revealing written report! Rare info, timelines & predictions, revelations and advice of both personal and planetary/4D geopolitics impact! Multidimesional astrology of the Trump/NATO Summit, UK/Theresa May, Putin-Trump summit, Ukraine/Poroshenko attempt to start global religious war, and much more! INTRO – THE HOT & unusual SUMMER OF 2018: 5 RETROGRADES & 3 ECLIPSES! GOOD LUCK JUPITER GOES DIRECT + Lada Ray ASTROLOGY TIPS & MORE! And timeline: When will the skies finally begin to clear? ​Read EARTH SHIFT REPORT 22 EXCERPTS! The hot summer of 2018 is astrologically one of the most intense on human memory. What is occurring in the skies concerns us individually, but it also concerns whole nations and the world in general. Much will be changing during the months of July and August, and by September the plans laid our earlier may be scrapped or re-worked, while new ideas will spring up. We’ll observe this metamorphosis in our personal lives, and we’ll witness it in the international affairs. As we entered July, five planets were retrograde, including the big outer planets, influencing humanity in general. The ‘good fortune’ Jupiter finally goes direct on July 10, but instead he planet of commerce, fast movement and communication, Mercury, goes retrograde on July 26-August 19. The unusual 3-eclipse sequence signals that many karmic and fateful events are about to take place. The eclipses are designed to fasten our spiritual growth and understanding. This is happening on both personal and planetary levels. We are going through a massive transformation, and the eclipses are acting as catalysts for the Earth Shift. PREDICTION! Make no mistake, the shakeups and crises in the West will continue and intensify! This is due to the ongoing EARTH SHIFT, as I have been predicting for years! It will only get worse, and the EU and NATO won’t survive for too many years too come. When we reach Period 9 (Listen to ESW4), the changes will be staggering! Mars in traditional ancient astrology is called ‘the Great Malefic’ — in other words, a big bad planet. It gets this distinction together with Saturn. We have talked about the Saturn side of the ‘malefic duo’ in Earth Shift Report 19: ​Global Banking & Financial System Shift: Saturn in Capricorn 2018-2020 Predictions. On traditional ancient astrology’s opposite side of the equation are the ‘Great Benefics’: Jupiter and Venus, which can only bring good luck. But there is such a thing as too much of a good thing. We get lazy and complacent if everything’s too easy. We need challenges to grow. Therefore, we must look at the whole picture in a multidimensional, enlightened way. In my view every sign, every planet, every energy influence and manifestation has a place and it teaches us something. If you approach everything in a multidimensional way, as a lesson to learn on the road to personal growth and the expansion of consciousness, then all of it will fall into place. The eclipse + retrograde season is conspiring to dramatically change our perception of the world around us. By the time we reach September, we will have shaped up a different kind of reality. ​COPYRIGHT July 11, 2018 LADA RAY, AUTHOR. ​ ​ALL RIGHTS RESERVED. ​​Click on DONATE button for immediate access! WITH LADA RAY’S UNIQUE MULTIDIMENSIONAL PERSPECTIVE! this is the EARTH SHIFT REPORT SEASON! ​Stay tuned for next Earth Shift Reports on hottest topics of this millennium, and beyond! PUTIN – TRUMP SUMMIT & TRUMP’S NEW DEAL! LADA RAY PUBLIC UPDATES & ANNOUNCEMENTS! ≈ Comments Off on LADA RAY PUBLIC UPDATES & ANNOUNCEMENTS! Hello, dear friends, and hope you are well. This is a completely FREE, public post on Patreon. In it you’ll find many important updates and announcements, which concern everyone! NOW LIVE! EARTH SHIFT WEBINAR 10: ​Galactic Night, Earth Shift & Our Future! ≈ Comments Off on NOW LIVE! EARTH SHIFT WEBINAR 10: ​Galactic Night, Earth Shift & Our Future! Webinar 10 is now available for purchase! FH&FO series subscribers! GET YOUR DIRECT ACCESS via your PRIVATE ACCESS PAGE! or BUY FULL 4-WEBINAR SERIES– and save! LADA RAY YouTube PROMO 2018! ≈ Comments Off on LADA RAY YouTube PROMO 2018! Pleased to Present: 4 New & Improved Forbidden History Webinar Banners! ≈ Comments Off on Pleased to Present: 4 New & Improved Forbidden History Webinar Banners! This is a new OPEN CREATIVE KITCHEN post for all my Patreon supporters and patrons. Hope your all got the chance to listen to our Spiritual Spa on Sunday, and hope your week is starting on a good note! I have refined and perfected the Banners for Earth Shift Webinars 7 and 8, which are already live and which many of you have by now watched. As you know, Webinars 9 and 10 are coming your way soon! I’ve finalized the banners for these two upcoming webinars, as well. One of the things I’ve done for all 4 is to not only refine and polish the text, but also make sure I use the same theme throughout the whole series, so it’s easily recognizable. Go to WEBINARS for the new look, descriptions and releases! Buy full series or individual webinars! NOW LIVE! EARTH SHIFT WEBINAR 8: 1000 LOST YEARS & FALSIFIED HISTORY! ≈ Comments Off on NOW LIVE! EARTH SHIFT WEBINAR 8: 1000 LOST YEARS & FALSIFIED HISTORY! Attention FORBIDDEN HISTORY & FORGOTTEN ORIGINS ​(FH&FO ESW7-10) Subscribers! IS NOW LIVE AND POSTED ON LadaRay.com! The webinar has come out a lot longer than anticipated, at about 5 hours. You can already enjoy the first 4 segments, which have been posted, together with updated segment-by-segment descriptions and a massive number of juicy and spectacular pics, visual aids, maps, graphs, and visual linguistic proofs! The pictures I have included for you are truly spectacular and amazing, and they reinforce and enrich my spoken narrative throughout! We are now preparing for upload the remaining segments, plus bonus Lada’s Message, plus additional slide show, info and picture gallery! Most of the remaining core materials will be uploaded on the ESW8 WEBINAR PAGE later today, and some bonus materials will be added on Sunday-Monday, so make sure yo come back! This webinar is simply overflowing with rich content and profound revelations, as well as info you won’t find anywhere else! If you have not ordered it yet, you are missing a lot! The FH&FO Webinar Series reinforces and confirms Lada Ray’s EARTH SHIFT – RUSSIA THE GREAT BALANCER Theory! It also confirms and expands on Lada Ray’s MULTIDIMENSIONAL UNIVERSE Theory! SUBSCRIBERS! Go to your Exclusive Private Access Page for direct access to this and other webinars! Not a subscriber? To BUY and for INFO GO HERE! If you really want to KNOW (VEDAT’), this series is a must listen to!